Chia is a species of flowering plant in the mint family native to central and Southern Mexico and Guatemala. These seeds are such an incredible power house because they are…. packed with omega 3 fatty acids good for the brain and heart. 8 times more omega 3 than salmon! high in anti-oxidants. 4 times higher ORAC value than blueberries. a complete protein with all 8 essential amino acids. These little seeds are so amazing! Then how much do you need daily? A teaspoon (15g) with heaps of water because it is high in fibre and has a gelatinous nature. You can sprinkle on your breakfast cereal/ granola/ porridge, used when baking (great egg replacement), mix with water or smoothie and make a jam like me. To make a one big jar of berry chia jam, I used 300g frozen mixed berries, 100g maple syrup, 30g chia seeds and a teaspoon of vanilla extract. Put all ingredients in a small pot and simmer for 20-30 minutes until it thickens. You can add more sweetener if you have a sweet tooth. Cool it down and transfer to a jar. Keep it refrigerated and consume within a week. Home-made jams are awesome. 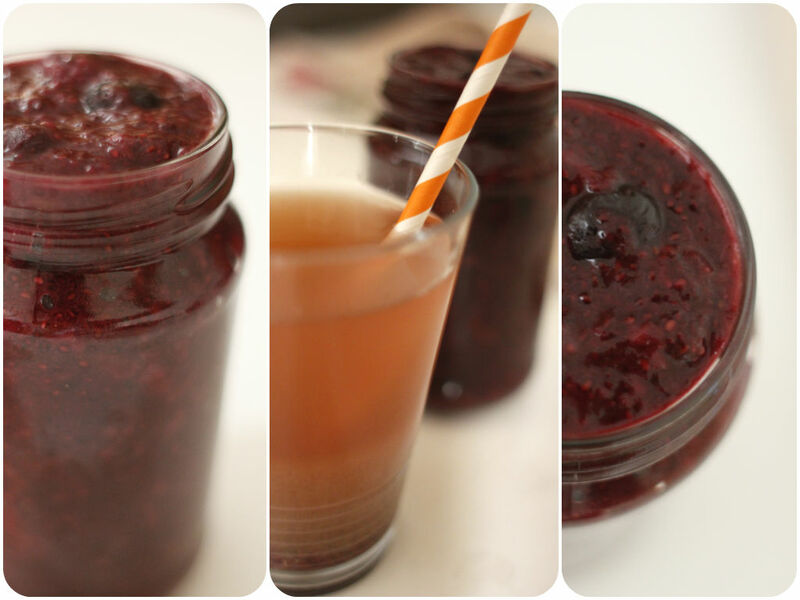 It is such an easy way of making a jam and so healthy since you don’t use preservatives and refined sugar. You can use any kind of seasonal fruits. Banana, mango, nectarines, plums, kiwi fruits, etc. It is beautiful over a slice of toast, pancakes, scone and muffins. I also put a teaspoon of this jam and maple syrup into a glass of soda water to make a refreshing summer drink.